At the beginning of December 2017, my Uncle Mark was diagnosed with cancer. It wasn’t until recently it was confirmed that he has Renal cell carcinoma with Sarcomatoid differentiation. When they found it, it was spread into his lungs, spleen, kidneys, liver, and neck. He has undergone radiation on the tumor in his neck, however it took 2 biopsies over the time span of a month to figure out where the cancer originated meaning there has been no treatment anywhere else in that time span. Since then it has spread to his back as well. He has recently been diagnosed with diabetes as well and has struggled to contain his blood sugar at a healthy level and is having trouble with his heart and going into AFIB twice. He is currently at UW hospital here in Madison meeting with a specialized cancer team where they will hopefully tell us that he isn’t too far advanced and can work on a treatment plan. During this whole time, he hasn’t been able to work (he’s a traveling nurse) and we have no idea if or when he will be able to return to the job. Medical bills and expenses have been piling up and there isn’t an end in sight. We could really use all the help we can get to relieve some of his stress (and my families) of paying all of these medical bills, his insurance, and his rent. Any and every little bit helps. Please and thank you! It is with a very shattered heart and through many tears that I am writing this. February 6th at 7:47 a.m my Uncle Mark passed away. I don’t know how to comprehend any of this. Out of everyone in the world, he is the last person that deserved any of this. I am so glad that he got to spread his light around to so many people, but I’m sad that he will no longer be able to bring that light to any of us. Any and all donations will be put towards his funeral/gathering and any/all medical costs he left behind. Thank you all for making his life great and meaningful. He is currently in ICU at UW hospital. We had to have him transferred by ambulance this afternoon. After his first chemo treatment on Friday, all seemed well... until today when he went downhill. The doctors believe he has an infection (more than likely in his lung) and as a result he will not be able to continue with chemo. He needs all the prayers and positive vibes he can get right now. I will keep everyone updated as more information comes. Thank you. A quick update on Uncle Mark. He had an appointment with his oncologist yesterday and they determined that he will have his first chemotherapy appointment tomorrow, February 2nd at 9:30 a.m. He also has an appointment on Monday afternoon to drain more fluid from his right lung again to help him breathe a bit easier (this appointment dependent on how he’s feeling after chemo). The hospital that he was employed at has officially ended his contract, which means his insurance coverage will be impacted greatly. We have begun the process of applying for disability, but who knows when that will be processed and will go through. We appreciate all of the positive messages, donations, and shares that we have gotten so far. We still need some help though. Please and thank you. Uncle Mark is now out of the hospital (was admitted Tuesday) and back home in Verona with my family and I (Markie his niece, Melissa his sister, and David his brother in-law)! I (Markie) talked with his oncologist today before he was discharged and after looking at his tests and biopsies, they came to the conclusion that the primary cancer is not renal cell carcinoma like Mayo and Milwaukee thought, rather lung cancer is his primary cancer. Tomorrow his oncologist’s nurse is calling to get him in with her next week to set up a plan and possibly start him on chemotherapy (all contingent on his strength and approval with insurance etc.) The diabetes and progression of the cancer and his medications have made him very weak, so we need all the positive vibes, thoughts, and prayers we can get. Thank you to those that have donated and shared this for my Uncle and family. It’s comforting to know that he has such a great team of supporters in his corner. 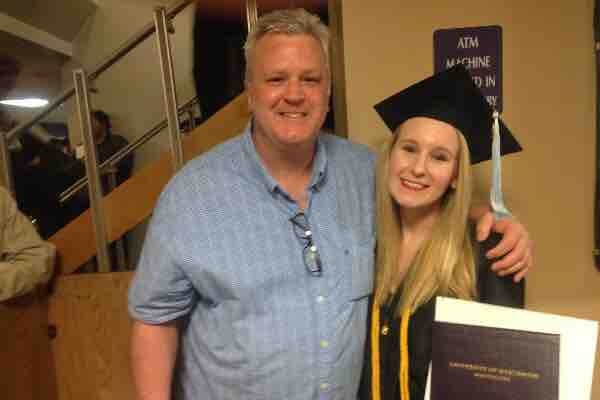 Please continue to share and donate and keep my Uncle in your minds and hearts. Thank you!